How to upgrade a donation solicitation that would actually move and influence the intended targets? 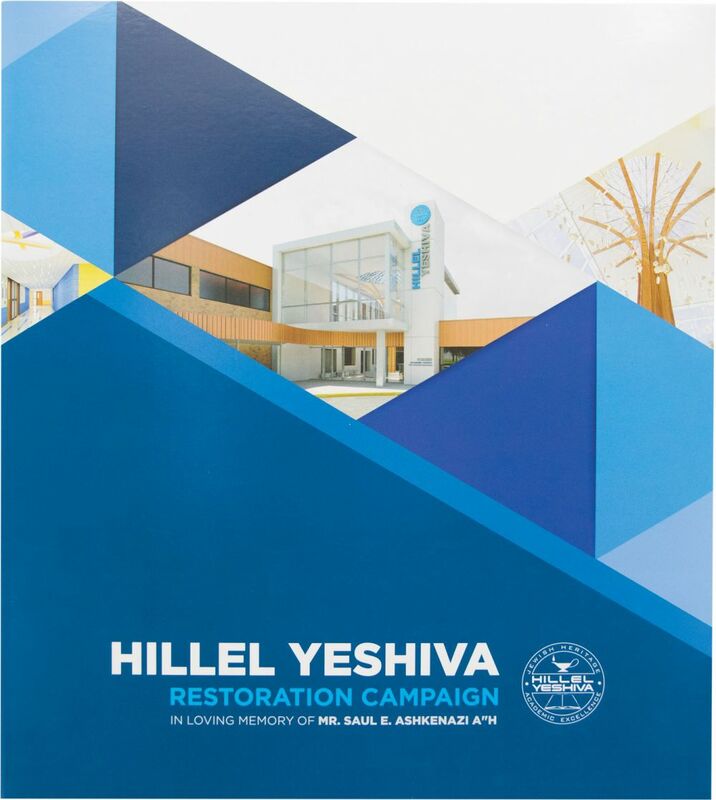 The Hillel Yeshiva School prides itself on academic excellence with an emphasis on Jewish heritage. Many of those in the school’s surrounding community have a strong personal connection to it, and school administrators wanted to reach potential donors in a personal way. Americhip utilized our patented Video Brochure with an oversized 7” screen to create a one-of-a-kind solicitation tool. 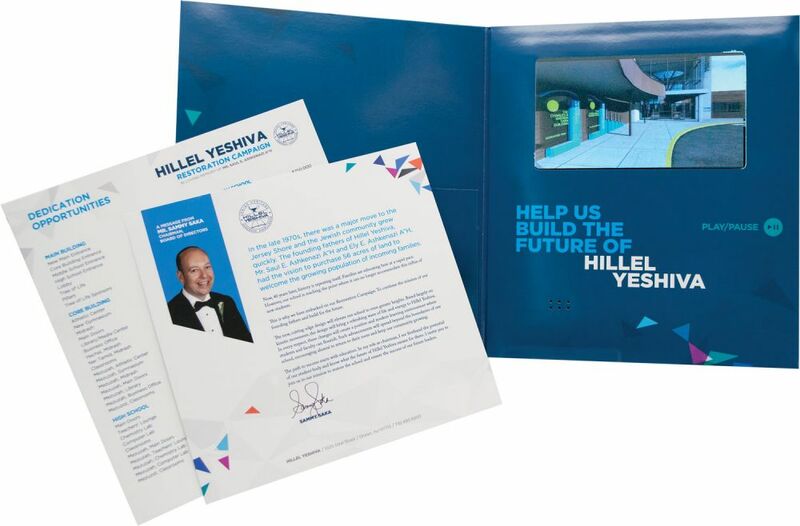 The Video Brochure includes a pocket that holds inserts highlighting various contribution opportunities, and plays a beautifully rendered animation depicting the administration’s vision for the future of the school, inside and out. And was the solicitation successful? 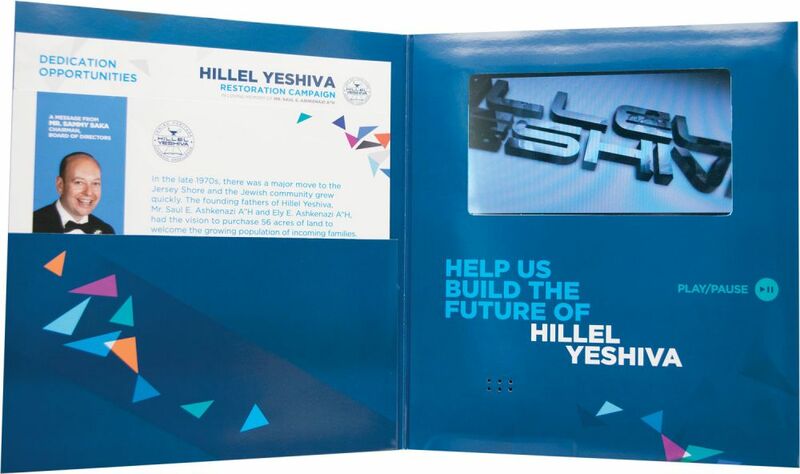 Well, the campaign provided such significant ROI that the school re-ordered the Video Brochures within 60 days.